Eighty eight percent of New Year’s resolutions fail. Eighty eight percent! That might be OK for some people, but it shouldn’t be OK for you – particularly when these resolutions have to do with the eventual sale of your business. Most of you are going to sell someday. If not this year, then next year, or in five years, or in ten years. Whenever it happens, you will be way better off if you are properly prepared. If you haven’t thought about the preparation, make this the year you do it. Insist that your accountant explain every line in your financial statements. I encounter too many business owners who seldom read their financials and, when they do, do not understand them. Their attitude is that the only thing that matters at the end of the day is “cash in the till.” And who can call them wrong? I certainly can’t. But what I will tell them is this: The business that you have spent your life building is, to a great extent, represented by what shows up on your financial statements. It is best to understand those statements fully because the value you receive for your business will be dependent upon what they show. Many business owners have heard of organization charts, but never have gotten around to actually preparing one. They’re really important, and if you are preparing one for the first time, you may be surprised to see what it reveals about your company. Who really reports to whom, and how does information flow from one part of your business to another? Your chart should have both rectangles and lines – rectangles for names and titles, and lines between these rectangles indicating flow of communications and authority levels. Beware of those charts where everybody ends up reporting to you. The owner should not be too important. Management is as important to businesses as location is to real estate. Now that you have your organization chart, think about who in your company can replace you, and how the chart will change as new people take on new roles. Buyers will want to know your view of how a future organization could look. Do not only think about it now, but begin the grooming process throughout the organization. What if somebody knocks on your door and wants to buy your company now? Be ready with the information you’ll need to sell your company so that you won’t have to rush to get it together when you really need it. These “due diligence” materials include financial statements, tax returns, licenses, leases, contracts, etc. There are software tools available that will help you do this. My Lock Box® is one of them, but there are several other good ones, and they are not expensive. Having this information together ahead of time rather than waiting for the buyer to begin his or her due diligence will facilitate the total process. Think about laying some history out on an Excel spreadsheet and then maintaining it to keep it current. Summarize your Income Statements and show a 3-5 year history of them in that same format. List your ten top customers today and chart their history over the past five years. Do the same for top-selling products or services. On your organization chart, note how long each of the employees have been with you. This will all help you to synthesize the important metrics of your company. Don’t let these resolutions be among the eighty eight percent that people fail to keep. Instead, make up your mind now that this year you’ll do what you need to do to prepare your company for sale, even if it may still be a while before you actually exit. 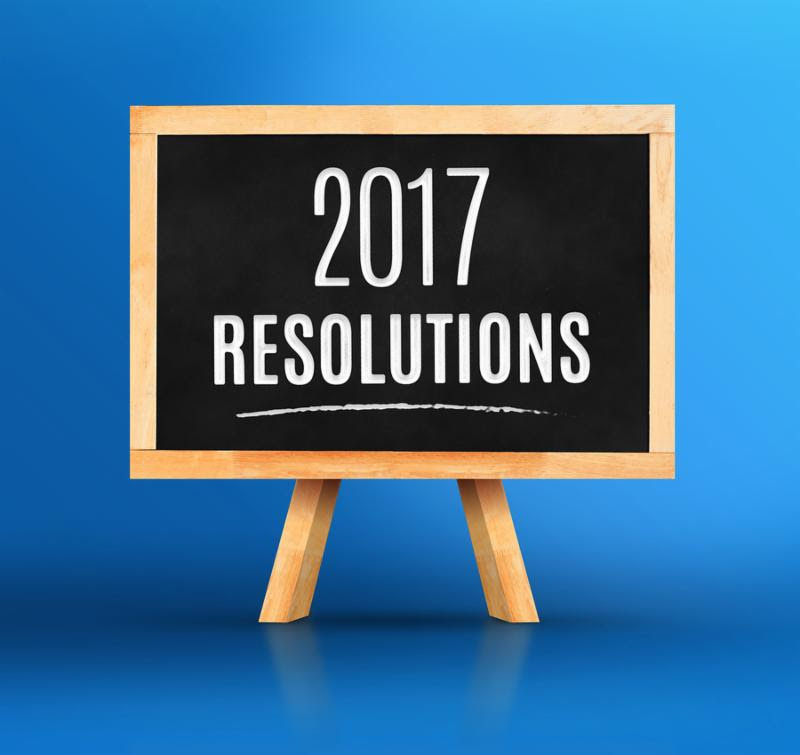 When you succeed in selling your company, I’m sure you’ll find that keeping these resolutions was well worth the effort.